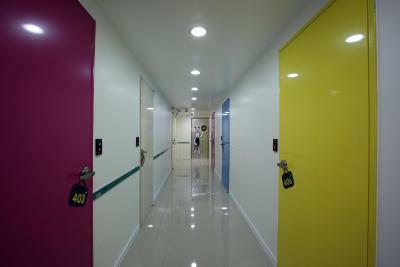 Lock in a great price for 24 Guesthouse Namsan – rated 8.1 by recent guests! The location of the guesthouse is so accessible, from Myeongdong station to the shopping center of Seoul! If I would be back, I’d definitely book here again! And Richard from the guesthouse is so nice and accommodating. 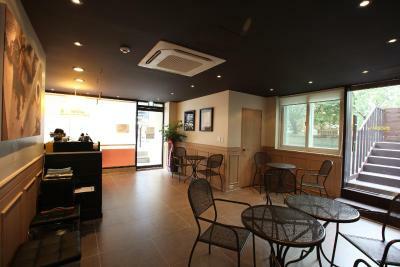 The reception staff are friendly, wifi worked seamlessly, Very near to the meyeondong station and namsan tower. great location easy to get around. Everything! The staff is so friendly and informative. Gladly to assist me. Especially Ayyu! Thank you btw. The bed? Oh gosh! Soooo comfy. Clean and hygienic. They have a rooftop and the view was majestic! BYOB and enjoy the talk guys. And the location is great. Easy access to everywhere. By subs, buses, cabs. Or even better, you can just walking to most of attractive locations. Such us Myeongdong night market, Namsam tower, Namdaemon and so much more! I gave 9/10! Well thank you 24 Guesthouse. U make my Korea experience much better. Location was very good. 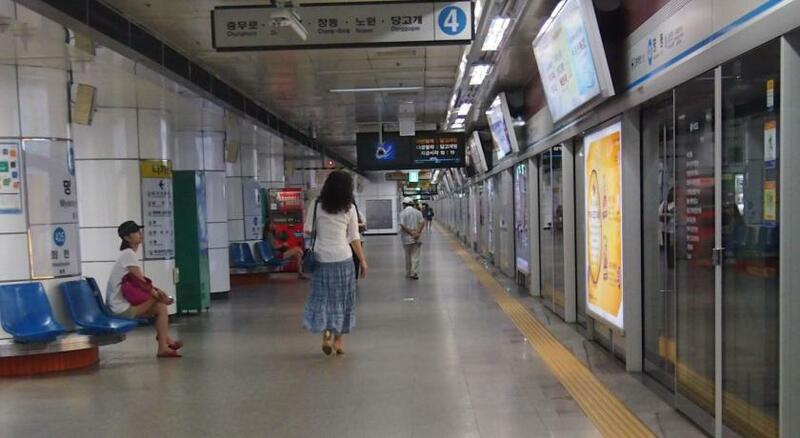 It was close to the Myeongdong shopping street and subway. 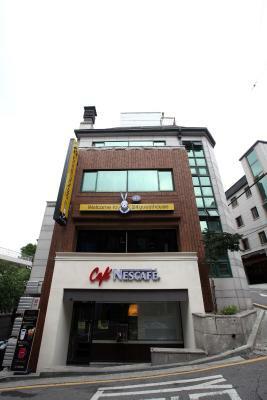 It is near the subway and its overlooking Namsan Tower. Very good price also. Great location. 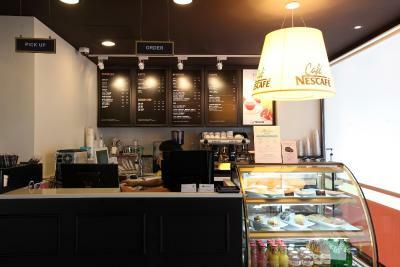 Walking distance from myeong dong shopping dustrict. 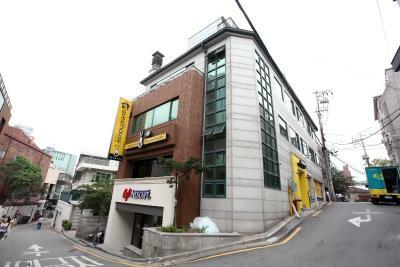 24 Guesthouse Namsan This rating is a reflection of how the property compares to the industry standard when it comes to price, facilities and services available. It's based on a self-evaluation by the property. Use this rating to help choose your stay! 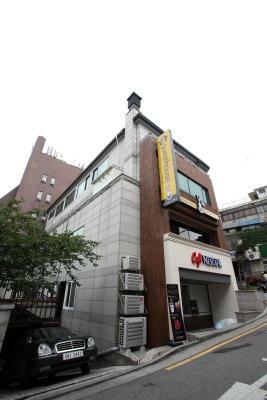 24 Guest house Namsan is located a 4-minute walk from Myeongdong Subway Station (Line 4). It offers both private and dormitory-style rooms with free WiFi. 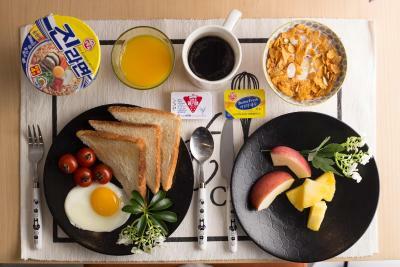 At 24 Guest house Namsan you will find a 24-hour front desk and a shared kitchen. Other facilities offered at the property include luggage storage and laundry facilities. From the guest house, it is a 6-minute walk from Myeongdong shopping district and Namdaemun Market, while N Seoul Tower is a 10-minute drive away. 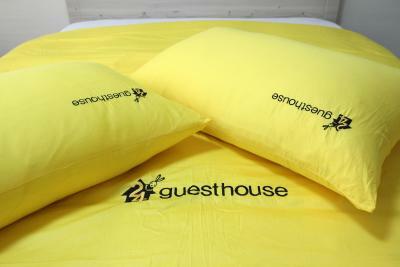 When would you like to stay at 24 Guesthouse Namsan? This room comes with a flat-screen TV, fridge and electric kettle. Private bathroom includes a shower, a hairdryer and free toiletries. Rate is for 1 person. 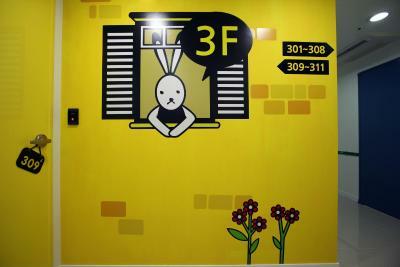 This is a Korean-style shared dorm room for women only. Guests sleep on a Korean futon on a heated hardwood floor. 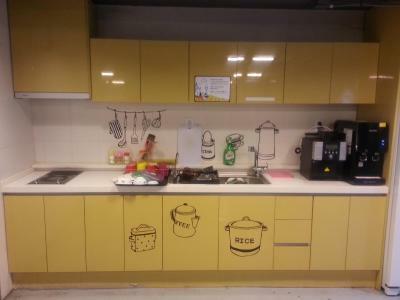 House Rules 24 Guesthouse Namsan takes special requests – add in the next step! 24 Guesthouse Namsan accepts these cards and reserves the right to temporarily hold an amount prior to arrival. Guests arriving after check-in hours (24:00) must inform the property in advance. Contact details can be found on the booking confirmation. If the property is not informed, the booking may be treated as a no show. 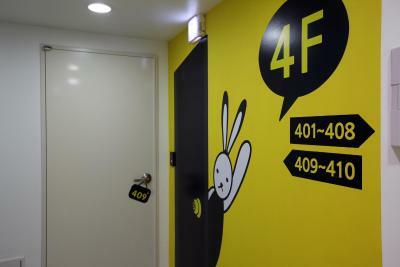 Please inform 24 Guesthouse Namsan of your expected arrival time in advance. You can use the Special Requests box when booking, or contact the property directly using the contact details in your confirmation. It's our second time here and as usual we did enjoy our stay!! And it was really nice to see Ace and Richard again who were there the last time we stayed, they were really accomodating and very helpful! !Thanks Ethan as well! We will stay there again in February hopefully! The guesthouse is quite close to train station but it is a bit hilly. The location is super good! Very near to Myeongdong 🚉 ! 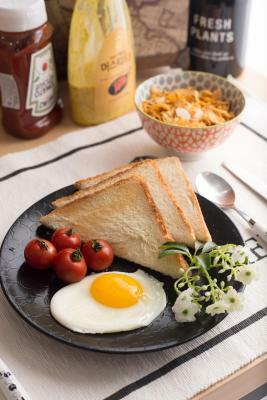 Well prepared breakfast for everyday! FOC to store our luggage! Thumbs up! 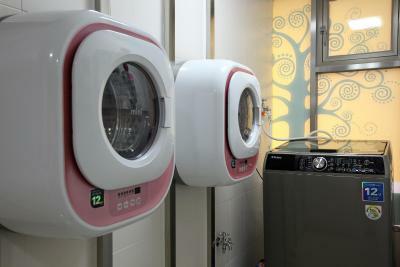 There are small washing machines at each floor. However they don't have the drying feature. Shared hanger is provided at the staircase. It takes 1-2 days to dry depends on the weather. I stayed in a single private room. The room size is bigger than what I expected, and the big windows with sunlight in the morning just make it a perfect experience. No noise from other rooms as well. Small towel 😭 and don’t have closet . Other than that , perfect! the water is leaking in the toilet and the small towel! nothing! very clean manner kind!